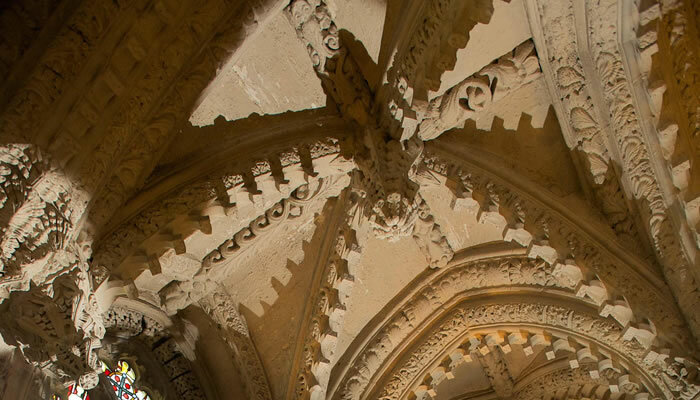 In 1997, the first action for Rosslyn Chapel Trust was to erect a protective canopy over the whole building providing shelter from the worst of the weather and allowing a natural and very slow drying-out process to begin. That canopy structure allowed high level public access around the exterior of the Chapel and facilitated detailed inspections by the professional team engaged on the conservation work. 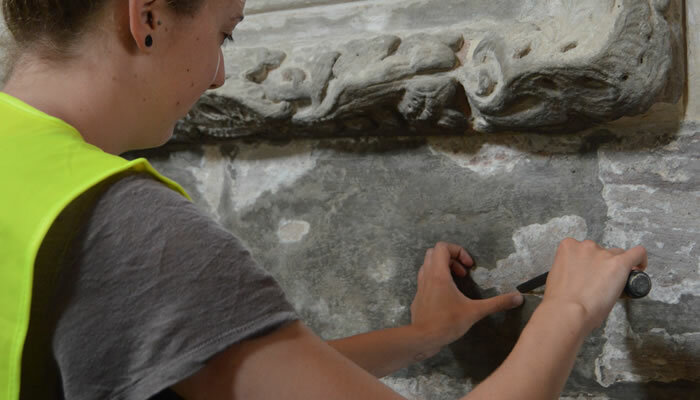 10 years after the erection of the canopy and following thorough research and preparation of an appropriate programme of conservation, the physical work commenced on site. Working from the outside to the inside and from the top to the bottom, roofs were covered in lead (originally exposed stone), a new rainwater system was installed, the stained glass was repaired and conserved and, most importantly, a programme of detailed stone conservation was undertaken over a 4 year period. Internally a new heating system was installed, served by a remotely located biomass boiler and a new lighting system was added, replacing the ad hoc arrangements which had evolved over the years. 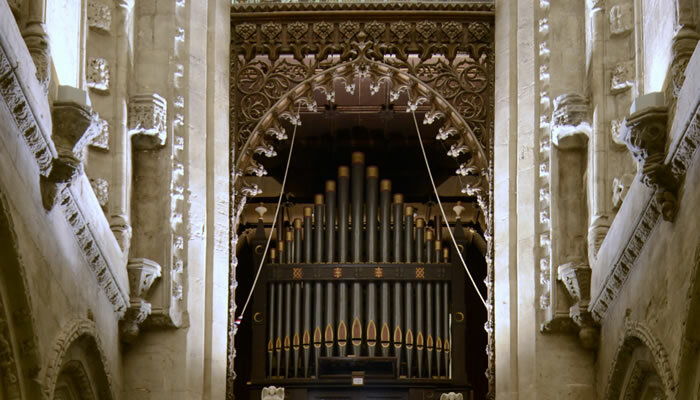 This achieved a much more stable and comfortable internal environment which allowed a major restoration of the organ in the Victorian Baptistry to be undertaken. 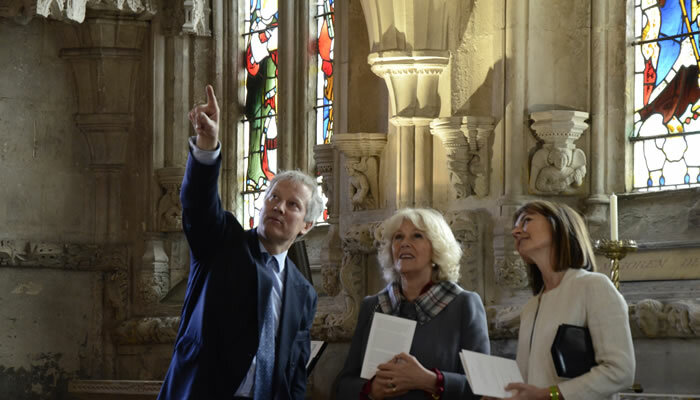 The Chapel is now in a condition which properly serves its worshipping community and the significant number of visitors who are interested in experiencing its atmosphere and seeing the wonderful craftsmanship of the 15th century masons. Most important of all, the work has ensured the long term survival of the Chapel itself for generations and centuries to come. 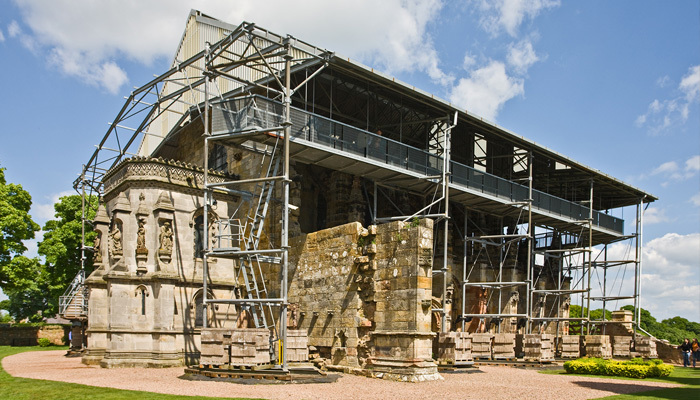 The metal canopy over Rosslyn Chapel was removed during July/August 2010. This video uses time-lapse photography to show viewers some of the work involved. Produced by Neil and Evan Hamilton. 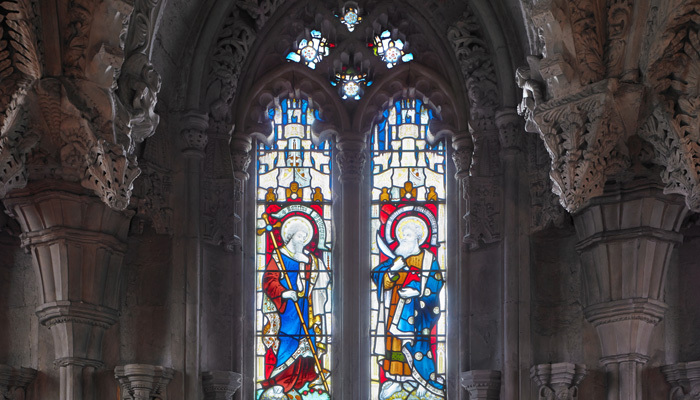 Rosslyn Chapel Trust gratefully acknowledges support from the Heritage Lottery Fund and Historic Scotland towards this conservation project.